On July 13, 209, Wynn Resorts Holdings, LLC (“Wynn Resorts”), the sole member of Wynn Las Vegas, LLC, which owns and operates the Wynn Las Vegas casino hotel and resort, filed a declaratory judgment action against NYLO Hotels, LLC (“NYLO”), in the U.S. District Court for the District of Nevada. See Wynn Resorts Holdings, LLC v. NYLO Hotels, LLC, Case No. 09-cv-01258 (D. Nev. July 13, 2009). A copy of the complaint can be downloaded here. For those outside Las Vegas, the Encore Las Vegas is the latest hotel project by well-known hotel/casino developer Steve Wynn. 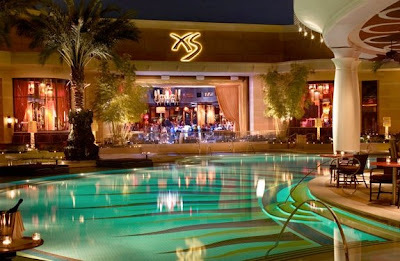 As part of Encore, Wynn decided to develop a restaurant/bar/nightclub named XS. And as any good businessman does, Wynn filed for trademark protection for the mark XS (one application for night club services and one for restaurant and bar services – both filed February 4, 2008). Wynn’s applications hit an initial stumbling block when its applications were rejected on the basis of likelihood of confusion over the registered (and incontestable) mark XS owned by XS Entertainment, Inc. ( for “entertainment in the nature of indoor and outdoor amusement complexes” and “restaurant services, namely, restaurant and bar services.”). The same office action noted that there was one other pending intent-to-use trademark application for XS filed by NYLO with an earlier effective filing date. Of course, Wynn’s acquisition only allowed it to overcome half of the trademark battle. With Wynn owning the registered mark that was owned by XS Entertainment, Inc., the PTO still suspended prosecution of Wynn’s two pending applications pending the outcome of NYLO’s earlier filed intent-to-use application. On April 22, 2009, NYLO sent a cease and desist letter to Wynn demanding that Wynn stop using the XS mark (and dropping the hint that it would be willing to discuss licensing opportunities). Wynn’s counsel responded to NYLO noting Wynn’s ownership of a trademark registration for XS as well as Wynn’s actual use in commerce of the XS mark (compared to NYLO’s pending intent-to-use). NYLO’s counsel wrote back to Wynn on May 28, 2009, reiterating its demands that Wynn cease and desist and claiming that Wynn’s trademark registration for XS was invalid on the basis that a) when the registration was renewed, it was not being used for “indoor and outdoor amusement complexes” b) the original application was impermissibly broadened to include “bar services” and c) that the mark had been abandoned by XS Entertainment. NYLO argues that Wynn’s only rights are its common law rights acquired through its actual use of the XS mark in January 2009 – long after the constructive use date of NYLO’s application [ed.—and after Wynn had actual notice of NYLO’s pending intent-to-use application]. Based on this “reasonable apprehension” that Wynn is violating NYLO’s trademark rights and that NYLO will pursue injunctive relief against Wynn – when and if NYLO’s pending trademark application is ever registered – Wynn filed for a declaratory judgment that its use of XS is lawful and does not violate NYLO’s rights. Looking at NYLO’s lengthy list of services, does Wynn have a possible argument that NYLO lacked a bona fide intent to use the mark in connection with all of the services described? After all, NYLO is still on its third extension of time to file a statement of use. Does NYLO have the business plan materials to show a bona fide intent back to when it first filed the application? We shall see. Steve Green with the Las Vegas Sun, an avid trademark lawsuit watcher, has his own article on the lawsuit (link here).